Delhi International Airport has sought environmental clearance to begin its ambitious expansion plan, which will ensure that IGIA remains India's biggest airport for a long time to come. The green nod has been sought to lay a fourth runway, expand existing terminals, construct a new one and build supporting infrastructure. 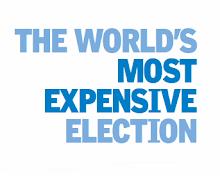 Sources say these plans will cost about Rs.16,000 crore. 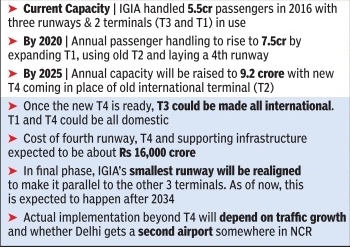 It is learnt that the GMR-backed consortium plans to construct the fourth runway and expand the bursting-at-the-seams T1 by 2020, which will increase IGIA's passenger handling capacity to 7.5 crore passengers annually . This phase will soon see the mothballed T2 being used for budget domestic flights by shifting one or two of the low cost carriers that currently operate from T1. It may also see the 1982 Asiad-era Centaur Hotel being razed to the ground to house the fourth runway and its accompanying infrastructure of taxiways and exitways. This airstrip will come up parallel to the airport's newest runway (29) and be of the same length at 4,430 metres. Air India, which owns Centaur, is supposed to get land at some other place in lieu of the hotel being demolished. 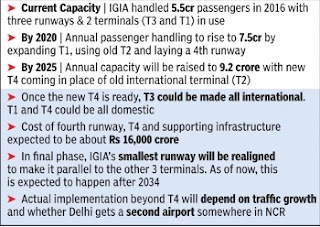 DIAL plans to have the fourth runway ready in time for the expansion of T1's annual passenger handling capacity from the current 18 million to 30 million in four years. Once work on T1 is complete, DIAL may demolish the 1982-era T2 and construct T4 there in `Phase 3b'. This plan is scheduled to be executed by 2025 and then the combined capacity of IGIA will be 9.2 crore per annum. T4, sources said, could be a mirror image of T3 and will be built right across it. Sources said the eventual plan is to have an integrated approach road to T3 and T4. 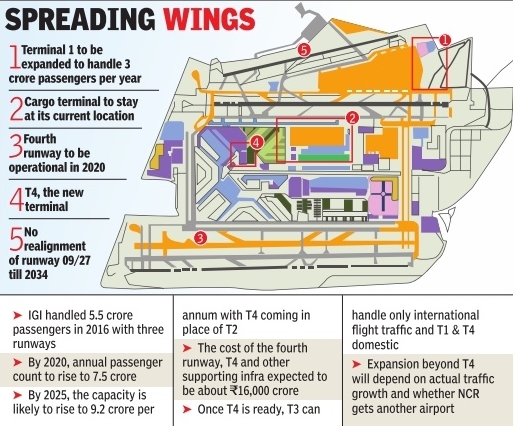 Terminal 3 could then be made all international while T4 and T1 may be domestic. Passengers will be able to change terminals between T3 and T4 seamlessly by just walking over the concourse. The final expansion, phase-4, will begin after 2026 and will take the airport to its optimum capacity of about 11 crore per annum. A lot will depend on whether the NCR gets a second airport to meet Delhi's growing requirement. For over a decade now, successive governments have spoken of building a second airport in NCR, with Jewar, Greater Noida, being talked of as a possible venue. 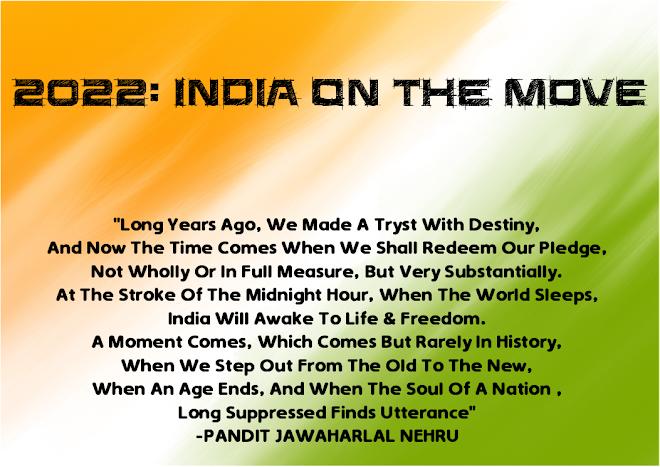 However, there has been no movement on that in terms of any work actually beginning.